Most of us want to spend the holiday season socializing with friends and family, not spending quality time on the couch with a box of tissues. Unfortunately, this time of year also presents many opportunities to catch a bug. Try bolstering your immunity with the following natural strategies. Exercise (but not too hard). While too much intense exercise can weaken one’s immunity, moderate exercise improves the functioning of infection-fighting cells. Get R&R. Chronic stress suppresses the immune system, increasing your chance for infection, so get enough relaxation and sleep. Take D. Vitamin D3 boosts immune cells. It can be challenging to get enough during the winter without supplementation. Research has linked low levels of vitamin D in the blood with greater susceptibility to flu, colds, and upper respiratory tract infections. “C” the light. This vitamin helps produce anti-stress hormones and interferon, an immune system protein. It stimulates production of infection-fighting white blood cells. Find it in citrus fruits and veggies such as broccoli and kale. If you have a cold or the flu, “take vitamin C 1,000 to 3,000 milligrams (mg) every few hours while awake, then lower the dose if and when you get loose stools,” recommends Jacob Teitelbaum, MD. Gobble garlic (or take odorless aged garlic extract). Garlic protects the body from illness and helps it recover more quickly from a virus. It also contains zinc. People deficient in this mineral tend to get sick more often. Think zinc. To relieve sore throats, Dr. Teitelbaum recommends zinc lozenges (containing 10 to 20 mg of zinc) four or five times daily. Take zinc within 24 hours of the first symptoms; it can shorten a cold by a day or more as well as lessen symptoms. Be “pro” probiotics. Probiotics (“good” or “friendly” bacteria) improve immunity. They come from fermented foods (yogurt, kefir, miso, sauerkraut) and can also be taken in capsule form. Make room for mushrooms. Consider medicinal mushrooms such as reishi, maitake, and cordyceps. Reishi reduces stress and strengthens the immune system at the same time that it regulates excessive immune response, such as allergies and autoimmune diseases. Maitake mushroom extract stimulates white blood cells that target bacteria. Cordyceps improves lung function in chronic bronchitis. Oscillococcinum (aka Oscillo). Take this homeopathic remedy at the first sign of flulike symptoms. Slurp soup. Chicken soup keeps you hydrated, eases congestion, and soothes your throat. Plus it tastes good. Find ease with echinacea. 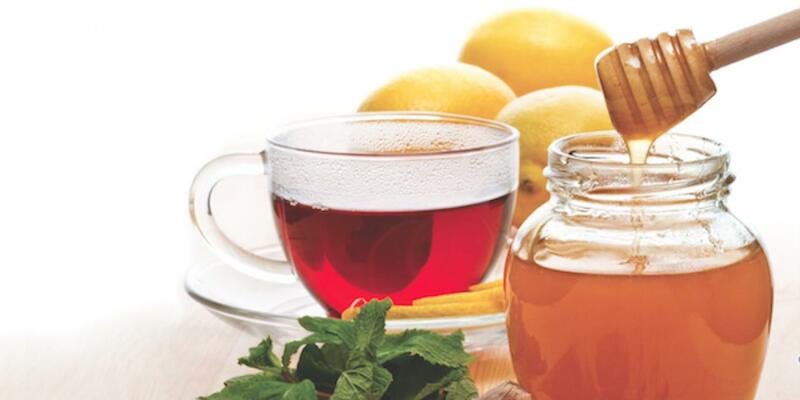 Studies show that this herb can decrease the duration and severity of colds and flu. Savor dark chocolate. You read that right. “Dark chocolate is an effective and tasty cough suppressant. It’s as effective as codeine,” says Dr. Teitelbaum. Sip teas. In addition to being hydrating, green tea and chamomile tea are rich in antioxidants. Many teas are also associated with relaxation, which may be helpful for boosting immunity. Blends that include echinacea, elderberry, slippery elm, or other immune-boosting and symptom-soothing ingredients can do double-duty on your cold. Breathe deep. For a stuffy nose, Dr. Teitelbaum recommends inhaling the vapor of eucalyptus oil. It’s been used for centuries to “shrink nasal swelling and reduce secretion of mucus,” he says. “Psychological Stress and the Human Immune System: A Meta-Analytic Study of 30 Years of Inquiry” by S.C. Segerstrom and G.E. Miller, Psychol Bull, 2006.